Hello! I know I'm late for this but whatevs. I like to draw a lot in fact I hope to get a career as a comic book artist for DC, Marvel, Image and the like. I am very sensitive but kind hearted. I respect any and everyone unless you have done something to hurt me. I was introduced to swatkats waaaaaay back in july 2011. I was on one of those airplanes that have a little TV screen and I turned boomerang on and found. SWAT Kats! 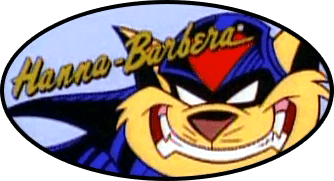 I don't remember the first episode I saw sadly but I do remember the metalikats were in it. But the second episode I do remember fondly DESTRUCTIVE NATURE. I have this weird obsession with Tentacles wrapping around people. and I was on the edge of my seat during that episode because I had hoped one of those pesky swatkats would've been unlucky and got caught. and that adrenaline made me remember the episode. however I had forget about the show (I know blasphemy) due to not having access to the channel boomerang or the web. however my Interest in the show was re sparked when I had heard about the re launch of the show in July or august of 2015. then My interest was lit into a bright fire that might possibly never go out. I WANT JAKE CLAWSON TO MARRY ME BYE!! That was quite of a presentation Welcome to Megakatcity.com!!! Jacob1290 wrote: I WANT JAKE CLAWSON TO MARRY ME BYE!! Cait wrote: That was quite of a presentation Welcome to Megakatcity.com!!! Cait wrote: This is war! How about we share him? Jacob1290 wrote: How about we share him? Well there's a voting poll for TMNT crossover comic on this site.